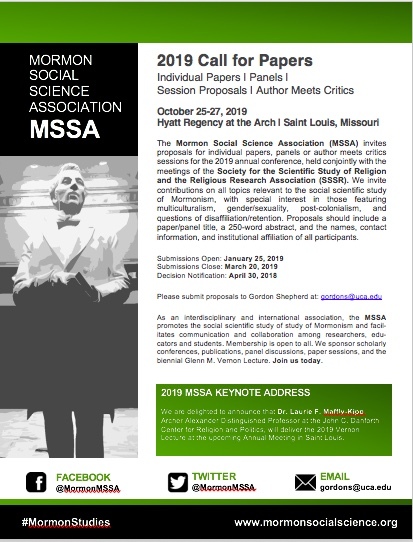 The Mormon Social Science Association (MSSA) invites proposals for individual papers, panels or author meets critics sessions for the 2019 annual conference, held con­jointly with the meetings of the Society for the Scientific Study of Religion and the Religious Research Association (SSSR/RRA). 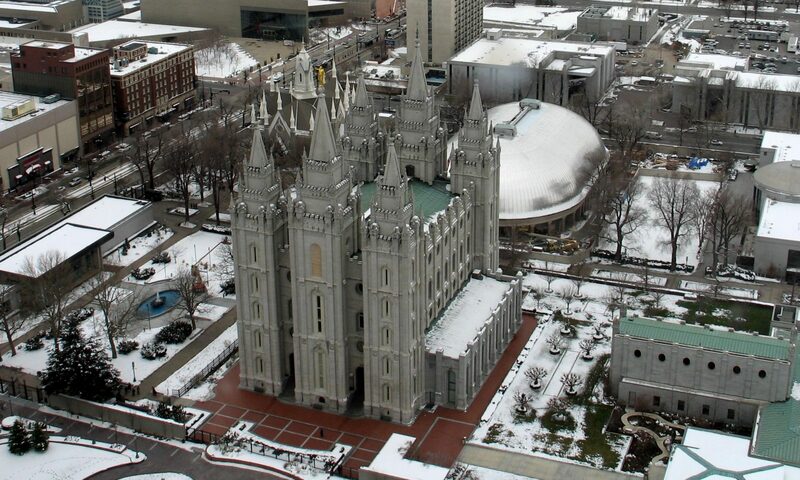 We invite contributions on all topics relevant to the social scientific study of Mormonism, with special interest in those featuring multiculturalism, gender/sexuality, post-colonialism, and questions of disaffiliation/retention. Proposals should include a paper/panel title, a 250-word abstract, and the names, contact infor­mation, and institutional affiliation of all participants. 2019 MSSA KEYNOTE ADDRESS | We are delighted to announce that Dr. Laurie F. Maffly-Kipp, Archer Alexander Distinguished Professor at the John C. Danforth Center for Religion and Politics, will deliver the 2019 Vernon Lecture at the upcoming Annual Meeting in Saint Louis.